John Joseph Finn was born on 3 July 1886 in Glens Falls, Warren County, New York. John Joseph Finn registered for the draft on 5 June 1917 in Albany County, New York, while living in the Parish House at 31 Waters Street in Albany. The following appeared on 2 September 1919 in The Troy Times: Three important transfers were announced to-day by Rev. Dr. Benedict I. Gillon, Secretary to Bishop Gibbons. Rev. Augustus Suprenant, chaplain at the House of Good Shepherd in this city, was appointed pastor of St. Ann's Church at Northside; Rev. Joseph Heenan, formerly of St. Joseph's Church, this city, who has been acting as administrator at the Catholic Church at St. Johnsville since the death of Rev. Father Thornton, becomes assistant at the Sacred Heart Church in Albany, where he will succeed Rev. John J. Finn, who has been named as pastor of St. John's Church at St. Johnsville. The following appeared on 27 May 1920 in The Warrensburgh News: Mrs. Cornelius Finn, aged seventy-eight years, died Friday morning at her home, 13 Birch avenue, Glens Falls. Besides her husband she is survived by two sisters, Mrs. Katherine Holmes and Mrs. James Cooney; her sons, Rev. John J. Finn and Attorney Daniel J. Finn, and three daughters, Julia, Ella and Anna. Funeral services were held at St. Mary's church Monday morning at 11 o'clock, a solemn requiem high mass being celebrated by the Rev. John J. Finn, son of the deceased, assisted by the Rev. Francis King, of Stuyvesant Falls, as deacon; Rev. Thomas Deignan, of Rotterdam Junction, sub-deacon, and the Rev. Daniel R. Burns as master of ceremonies. There were nearly three hundred people in attendance, including thirty-three visiting clergy in the sanctuary. Interment in St. Mary's cemetery. The following appeared on 9 June 1921 in The Warrensburgh News: The Rev. John J. Finn, formerly of Glens Falls, has been transferred by Bishop Gibbons from the pastorate of St. John's church in St. Johnsville, to St. Peter's church in Stillwater, where he will begin his duties next Sunday. Father Finn is a brother of Attorney Daniel J. Finn, of Chambers & Finn, Glens Falls. John Joseph Finn died on 11 January 1974 at age 87 in Schenectady, New York. He was interred at Saint Mary's Cemetery, South Glens Falls, Saratoga County, New York. The following appeared on 15 January 1974 in the Schenectady Gazette: At rest on January 11, 1974, Rt. Rev. Msgr. John J. Finn of 1144 Wendell Ave; brother of Miss Ella T. Finn of Schenectady, the late Daniel J. Finn and the late Miss Anna A. Finn; uncle of Mrs. John T. (Mary) Breen of Glens Falls; granduncle of Mrs. Herbert (Mary Ellen) Oliver of Glens Falls, Mrs. Joseph Bak of Troy and J. Timothy Breen of Albany. The Jones Funeral Home (Kivlin-Campbell), 1503 Union St., Schenectady, will be open Sunday after 1 p.m. The body will be taken to St. John the Evangelist Church at 7 p.m. Monday for a Parish Mass at 7:30 p.m. followed by viewing hours until 10 p.m. There will be viewing hours Tuesday morning before a concelebrated pontifical mass of Christian Burial offered by Most Rev. Edward J. Maginn as principal celebrant. Joining him as concelebrants will be Rev. M. Kenneth Doyle, also acting as homilist, Msgr. John Fitzgerald, Rev. Thomas Tooher, Rev. 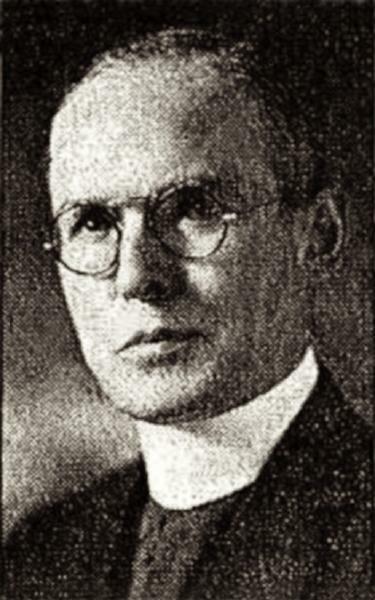 Lawrence Ryan, Rev. Edward McManus, Rev. Raymond Swords, S.J., Rev. Joseph Hennessey and Rev. Edward Hickey. In lieu of flowers friends who so desire may make contributions in his memory to the Schenectady Catholic Family Services, 1014 Union St., Schenectady, N.Y. Interment, St. Mary's Cemetery, South Glens Falls, New York.